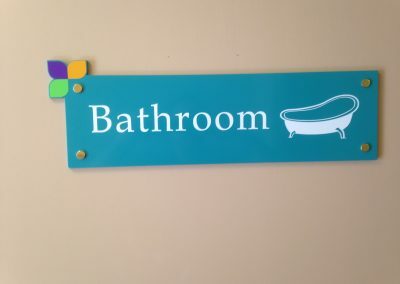 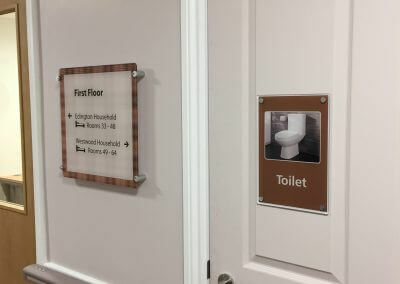 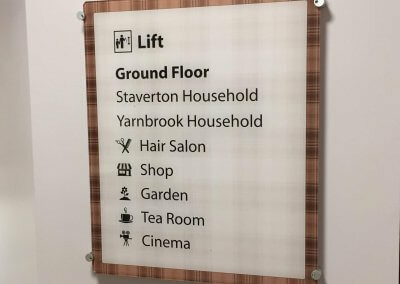 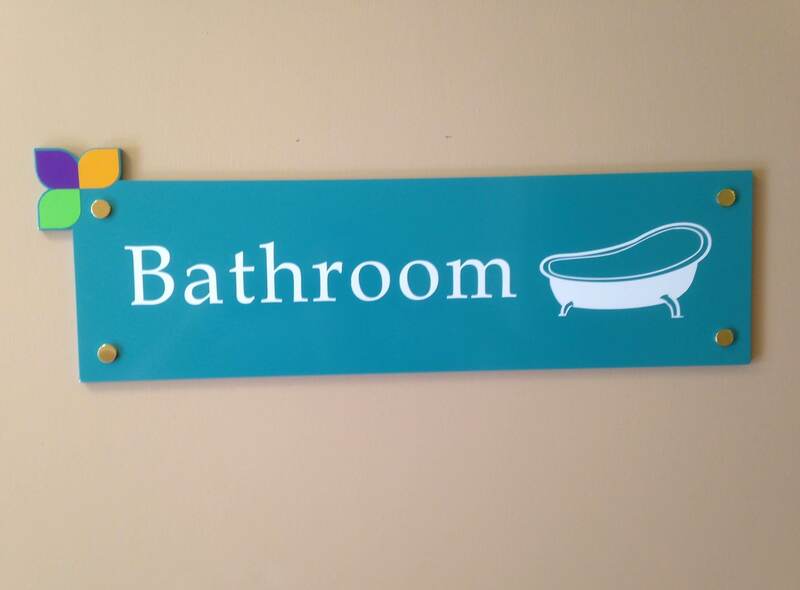 With our experience we have designed and manufactured dementia friendly signage for many years. 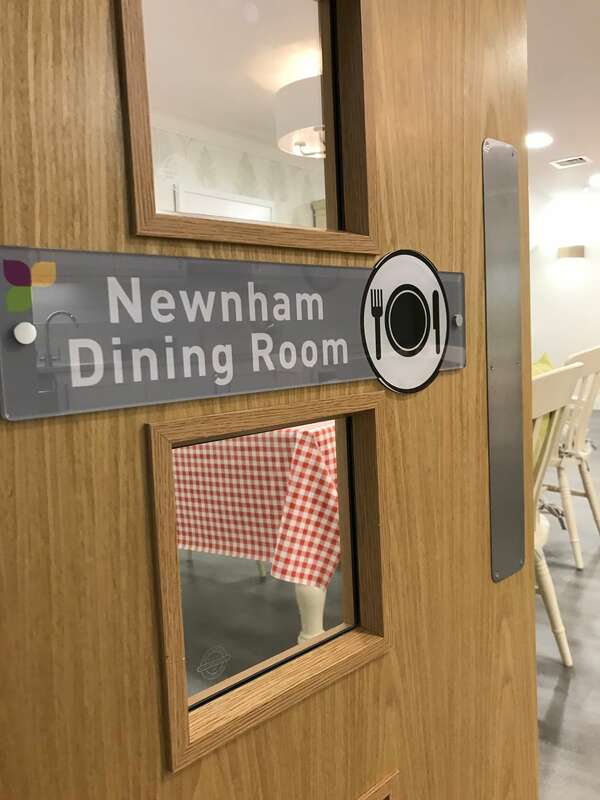 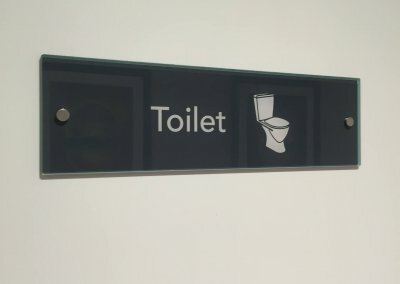 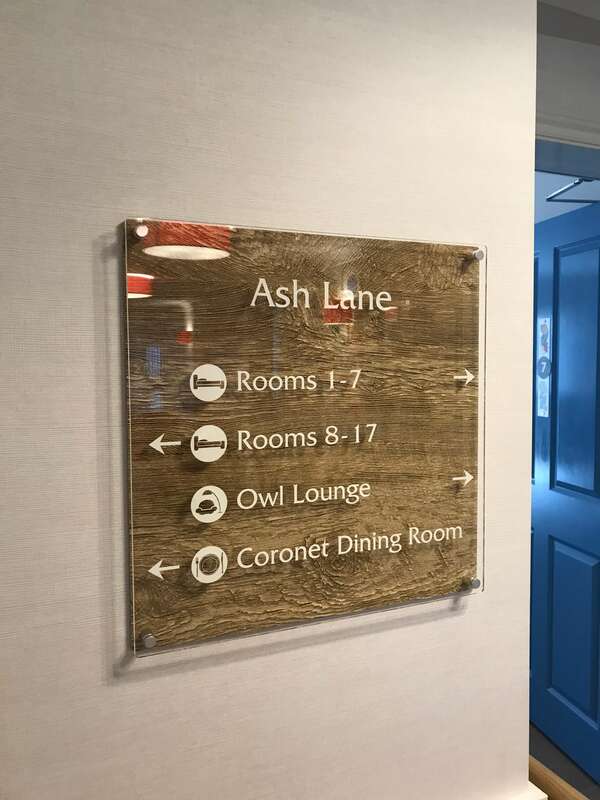 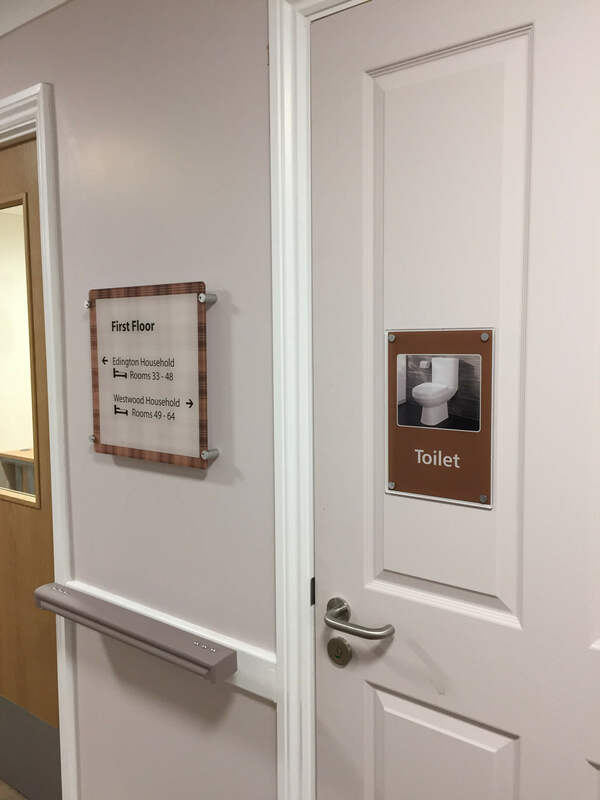 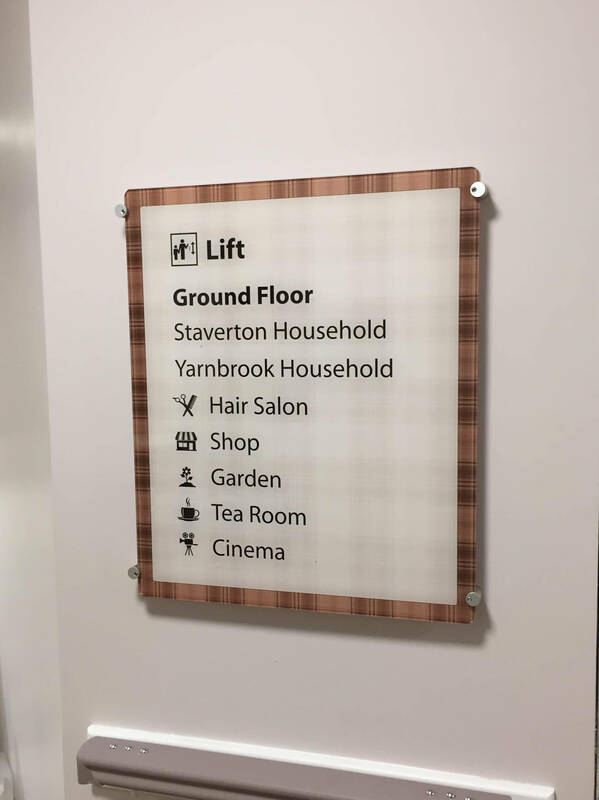 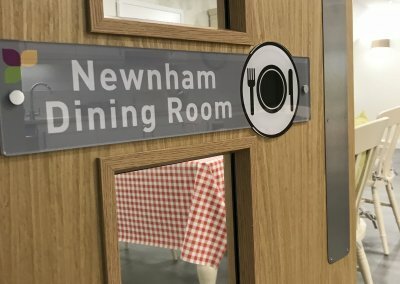 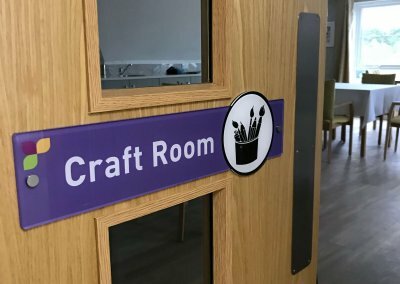 Through our product design with the advice of dementia consultants we have designed the signs to promote independence, orientation, way-finding and ensure they meet the dementia guidelines. 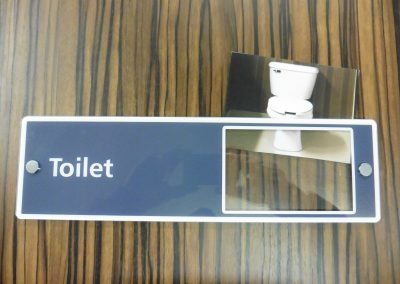 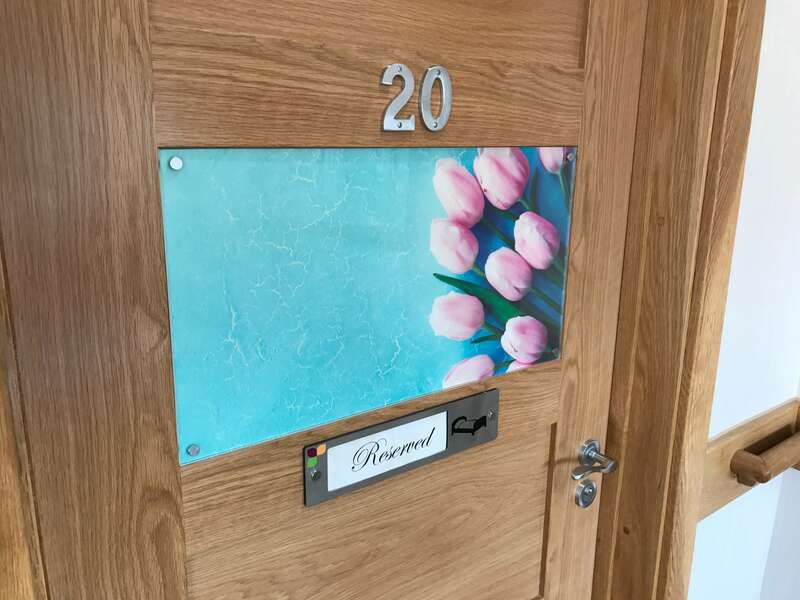 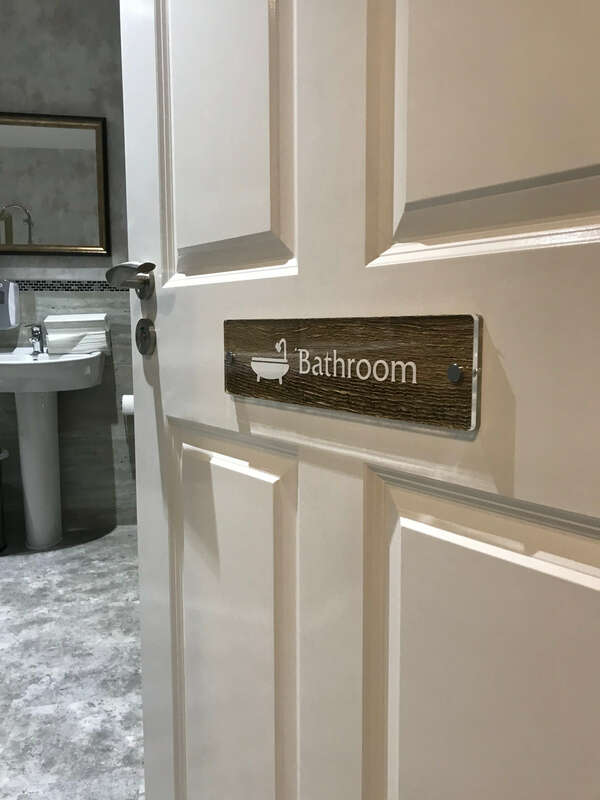 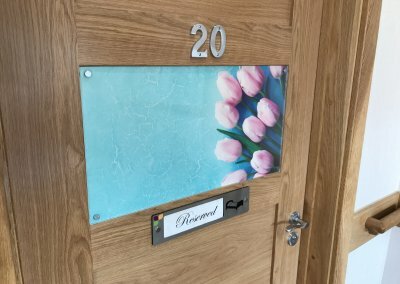 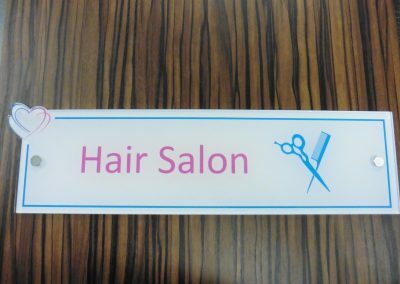 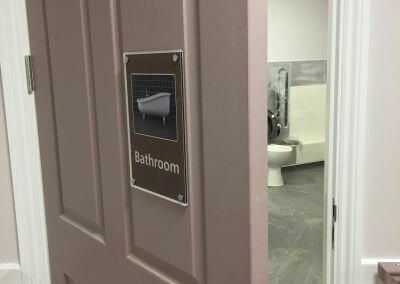 Our acrylic signage can be manufactured from high quality clear sheet, to acrylic with a green or blue tint this product suitable for a wide variety of applications. 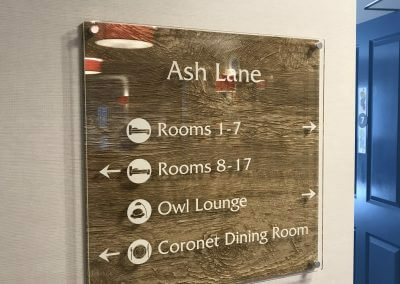 With our laser cutting facility we can cut and polish to any shape or design. 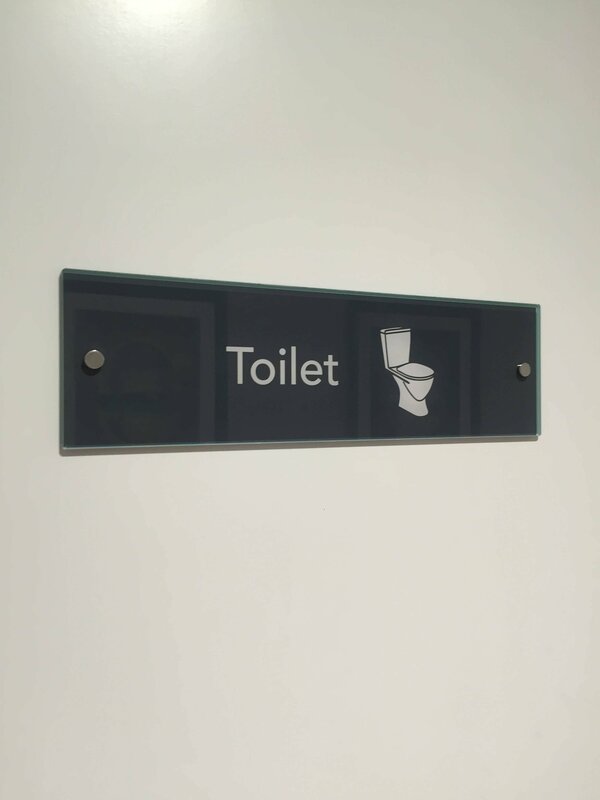 With the graphics applied to the rear it leaves the front face easy to clean and maintain. 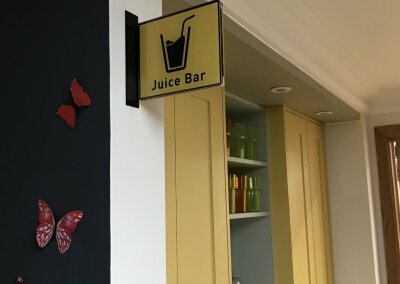 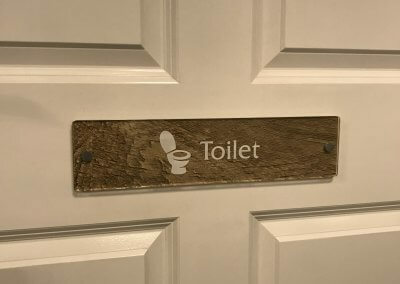 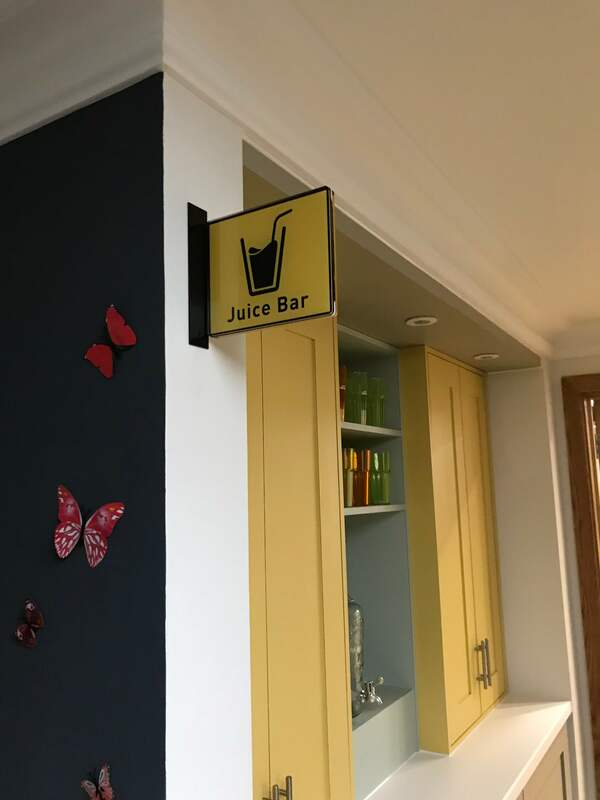 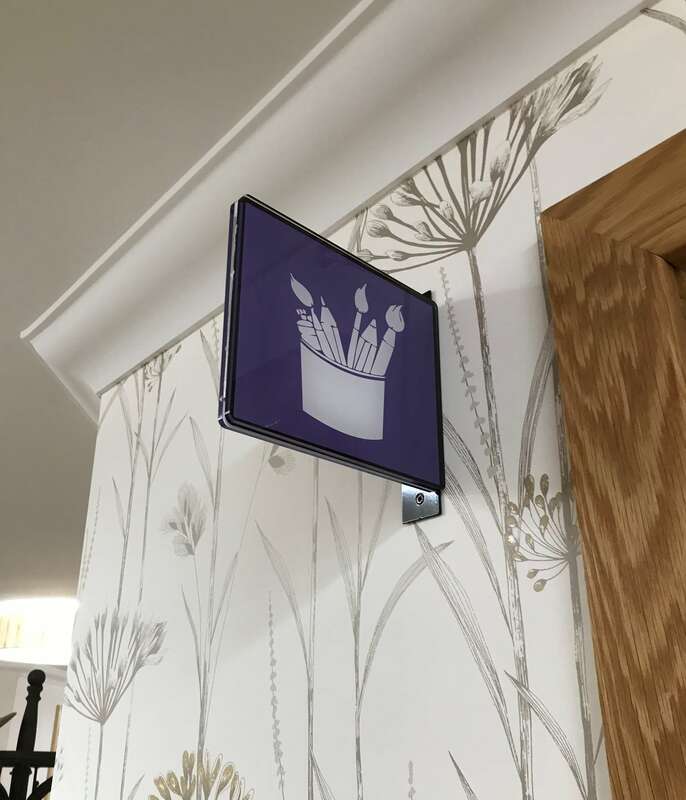 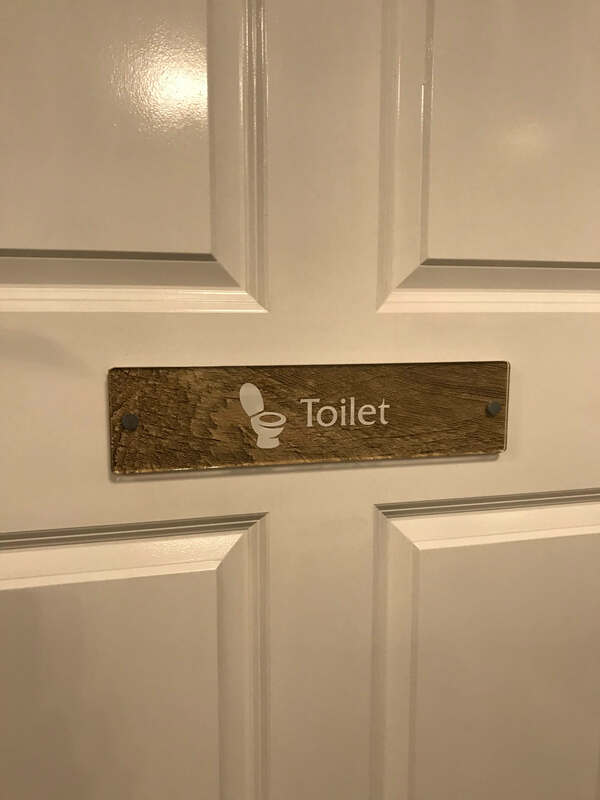 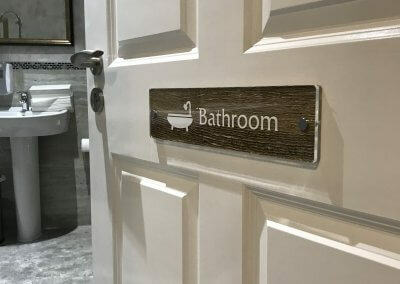 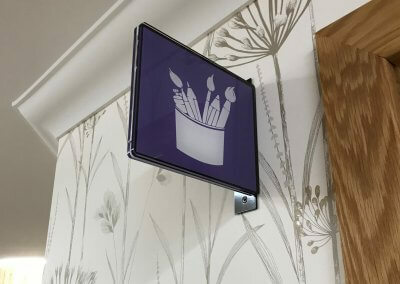 The sign can fitted to the wall by the means of screws and cover caps or stand offs to give it a more defined look. 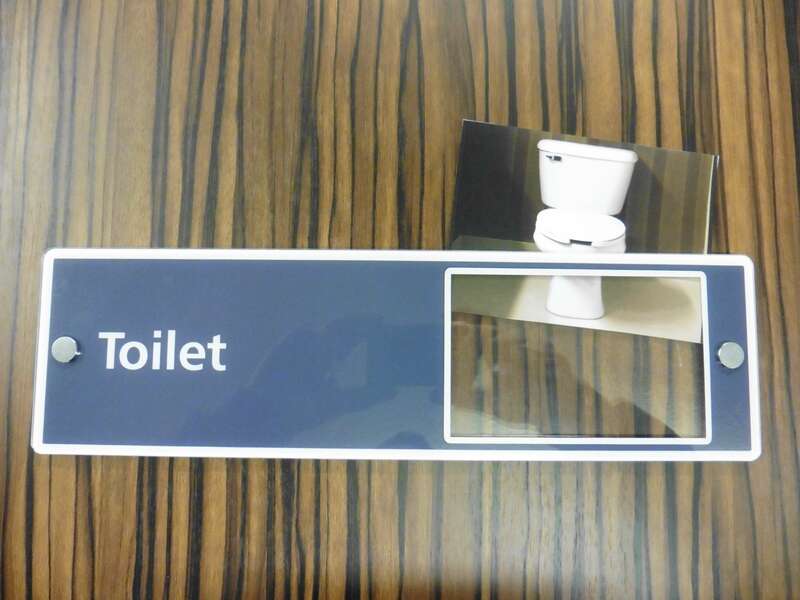 This product is very popular in the Hotel and Care sector. 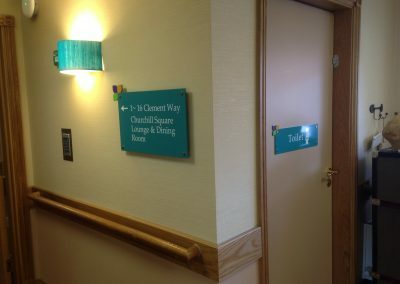 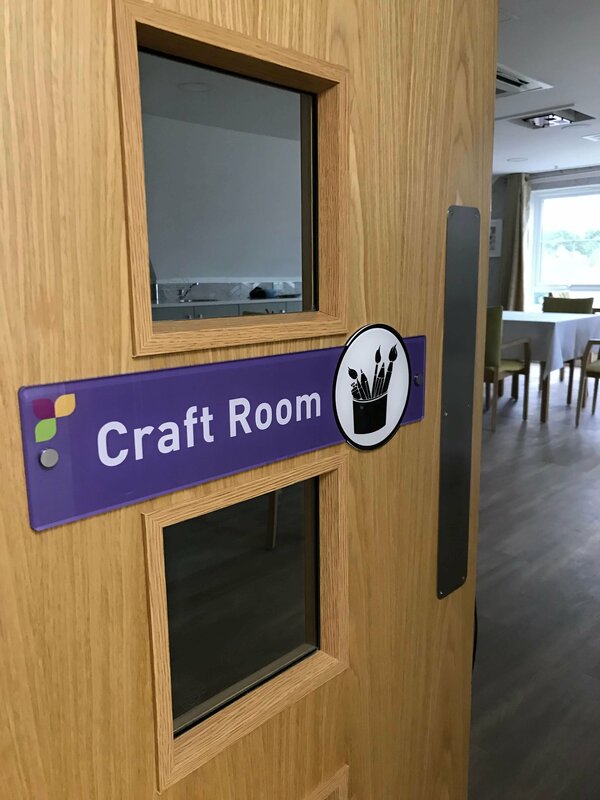 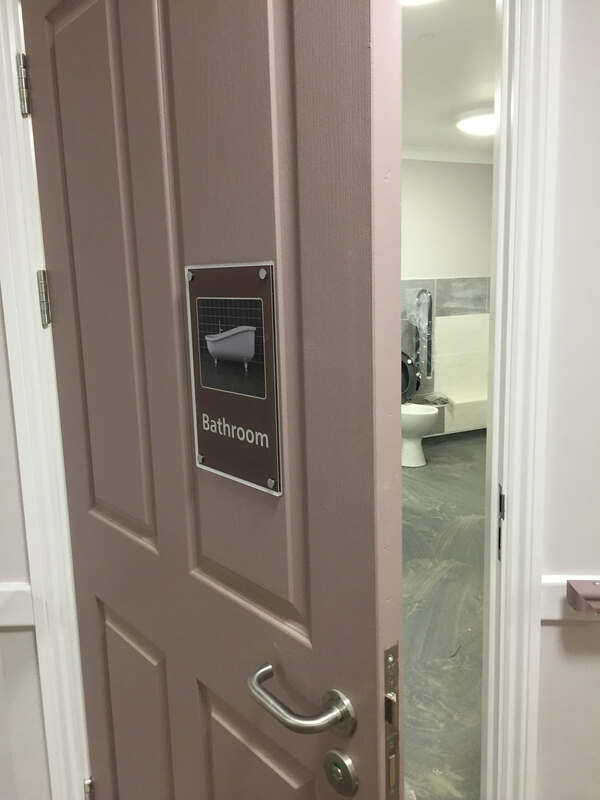 We are currently working with Order St. John Care Trust who in turn are working with Stirling University who are at the forefront of Dementia signage research to ensure we incorporate the most effective colour combinations to aid people living with dementia. 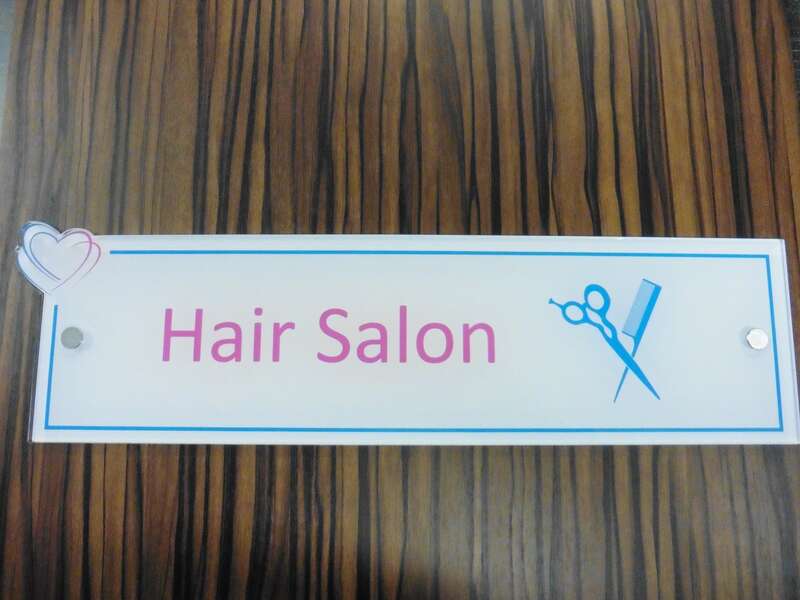 Visit this website for more useful information.